It is a SOUND HEALING MEDITATION with sacred sound vibrations of harmonic instruments from around the world, including symphonic gongs, didgeridoos, Native American flutes and overtone and throat singing, where you can sit or lie with your eyes closed and let the sounds take you on a journey. 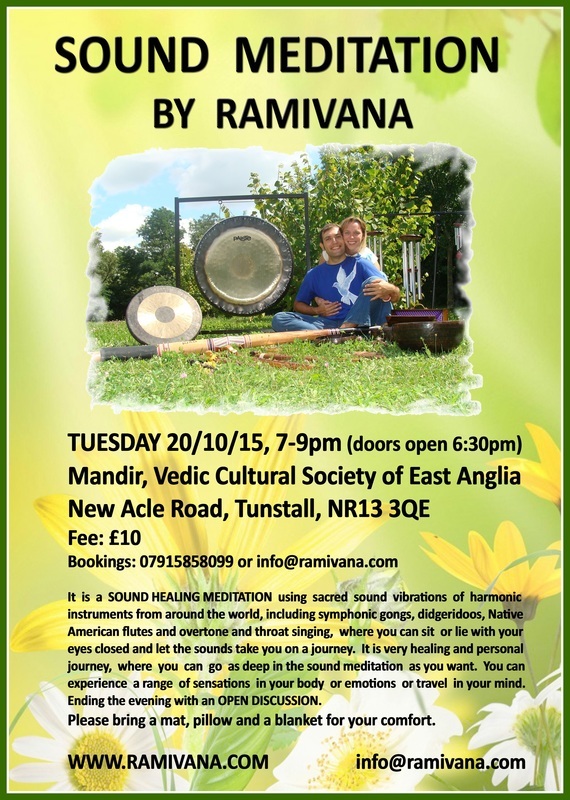 It is very healing and personal journey, where you can go as deep in the sound meditation as you want. You can experience a range of sensations in your body or emotions or travel in your mind. Ending the evening with an OPEN DISCUSSION.